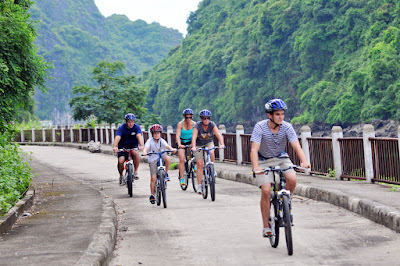 Home > Halong Bay Cruises > "Cycling and trekking on the beach" - a good suggestion for the trip on Halong Bay. 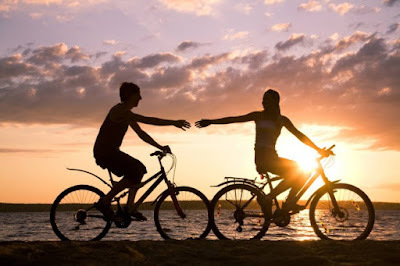 "Cycling and trekking on the beach" - a good suggestion for the trip on Halong Bay. In order to deeply enjoy quiet atmosphere and scenic setting on the beach, cycling and trekking will be a good suggestion for the trip on Halong Bay. - Choose one with multiple pockets, padded shoulder straps, and large zipper closure. - Footwear designed specifically for hiking offers better support and traction. Choose a pair that’s a half-size larger than your street shoes to allow for some swelling as you walk and to accommodate heavier hiking socks. - Wear thick wool or synthetic blend socks designed to wick moisture away from the feet, as wet feet is the primary cause of blisters. - Some things to keep in your day pack: first-aid kit; water bottle; Swiss Army knife; topographic map; compass; space blanket; and sweater. - Why Halong Bay attracts tourists year-round?